A trip to Jurmala is costly. Price of the tour consists of Latvian visa cost, tickets, insurance, transfers, hotel fees, on an excursion prices, etc. To save money, many tourists go on vacation at his own car and make out a trip alone:.. Get a visa, buy tickets and excursions . Latvian visa fee is 35 euros. Tell us what prices in Jurmala on popular services for travelers. Hotels in Jurmala offer rooms at different prices. The cost of living depends on the location and star hotels. 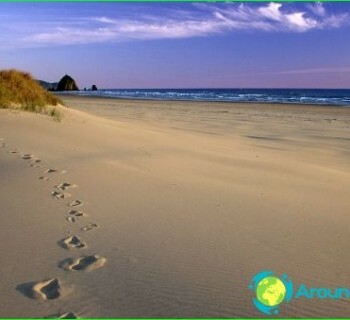 For example, a hotel located on the beach, in the middle of the season can offer rooms for the 1500-2000 euro per night. The hotel of the middle class for seasonal discount double room can be rented for 18 euros or more. In summer, the prices are rising sharply. 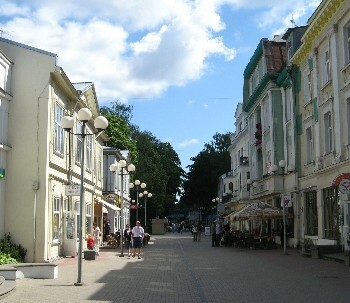 After Jurmala is very popular not only for foreigners but also local people. If you want to save on your vacation, choose the date of arrival in the spring or early fall. During this period, the weather is good, the sea is warm, but far fewer tourists than in July and August. To reduce the price, you can contact the hotel directly by phone. You can also use the reservation system on the Internet sites. In Jurmala, a lot of restaurants thatoffering dishes of national cuisine. In addition, the restaurants serves Slavic, Asian, European and other cuisines. food prices vary in Jurmala. Prestigious restaurants offer an expensive menu. The average cost of a hot meal is 10 euros. The resort is full of pastry shops, where you can drink coffee and cakes, which are prepared on the spot. In Jurmala work Steak House, pizzerias, fast food places, sushi bars and canteens. The beach has a snack, which prepare kebabs with vegetables. Meals can be there for 3-4 euros. Travel agencies offer a huge numberexcursion on different routes Latvian programs. Programs vary in length. The cost of the tour for 1 person is 20-35 euro. Tourists can take advantage of a bus tour of Latvia. There are tours of the country, Finland, Lithuania, Sweden and other countries. If you intend to see the sights of Latvia, advance buy a guide. Excursions can be independent. To do this, it operates car rental in Jurmala. This resort is 20 km away from Riga. Cost of the ticket to Riga is 1.5 euros. Located in Jurmala, you can take a bus or train to get to any Latvian city.